Does ME perform other Cleaning Services than those listed? Every client's needs are different, our listing of services just serves as a guideline… we will customize your cleaning package to suit your specific requirements. What are the advantages of Hiring ME? With today’s busy schedules, people are often too busy to clean their own homes and/or offices. Hiring the right Cleaning service can be very frustrating. ME Cleaning Services eliminates the hassle and offers you a reliable and professional experience, allowing you to relax in your home or office knowing that all of the cleaning details have been addressed, all at affordable rates. How often will ME clean My Home and/or Office? We offer one-time, weekly, bi-weekly or monthly services. Call Michelle at (386) 235-8452 for Your FREE Estimate. At that time, we can assess together, what would be the right Cleaning Plan for your particular requirements. How does ME address My Home or Office Security? Our Crew is fully trained, experienced, and totally Professional. ME Cleaning Services is Licensed, Bonded, and Insured. In addition to this, our References and Testimonials speak for themselves. Will I need to provide any Cleaning Supplies or Equipment? Absolutely Not. ME Cleaning Services Crews carry all of their own cleaning supplies and equipment. Does anyone need to be home when ME arrives? A variety of arrangements can be made if you will not be at your home or office. 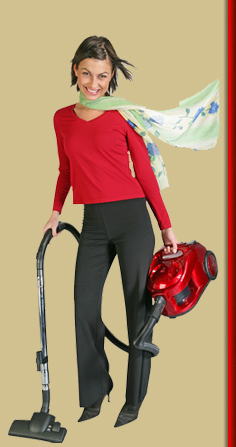 We will work with you in any way to facilitate your cleaning at your convenience. How will ME know what needs to be done? A complete list of services to be rendered will be agreed upon in advance. If you need to change or cancel a scheduled cleaning, we only ask that you please let us know with as much advance notice as possible. What forms of Payment does ME accept? Cash, Personal Checks, MasterCard, Visa, Discover, and American Express are all accepted by ME. What if something is damaged by ME? This has actually never happened to ME, but in all honest, it could. In this unlikely event, ME will repair or replace whatever it is. An Insurance claim will be filed when needed. Tips are not expected, but they are certainly appreciated! ME Cleaning Services Home Owners, Commercial Developers, Residential Builders, Property Managers, Associations, and Office Managers. ME Cleaning Services Ormond Beach, Holly Hill, Daytona Beach, Port Orange, Daytona Beach Shores, Ponce Inlet, and New Smyrna.